The situation: Currently you are struggling to repay student loans. You frequently pay late or skip payments on some or all of your loans. You may be in default on one or more loans. Being in default means you are at least 270 days late on making payments. What this page offers: An outline of the steps and resources needed to review your current student loan debt and repayment status and to explore repayment options and debt management strategies that enable you to get control of this debt and lessen the burden. Do student loan payments represent a burdensome expense in your monthly budget? If so, are you making the payments even though doing so has you financially stretched and struggling to find the money each month? The following steps and resources in this guide can help you create an action plan to evaluate and optimize your loan repayment strategies. Or are you regularly late paying and/or have you skipped payments? Do you sometimes skip paying other bills to pay on your student loans or have you ever put a student loan payment on a credit card? Are you more than 270 days late paying on some or all of your loans and therefore in default? 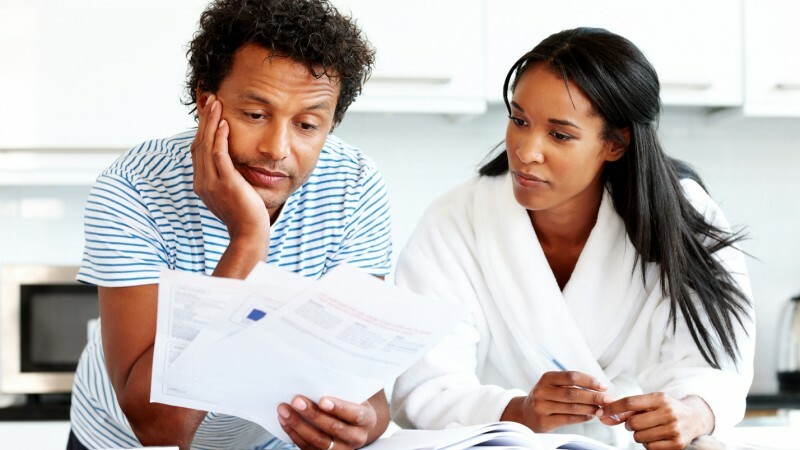 If you answered yes to one or more of these questions, you need to take steps to better manage your debt before the situation not only wrecks your credit but also your future. 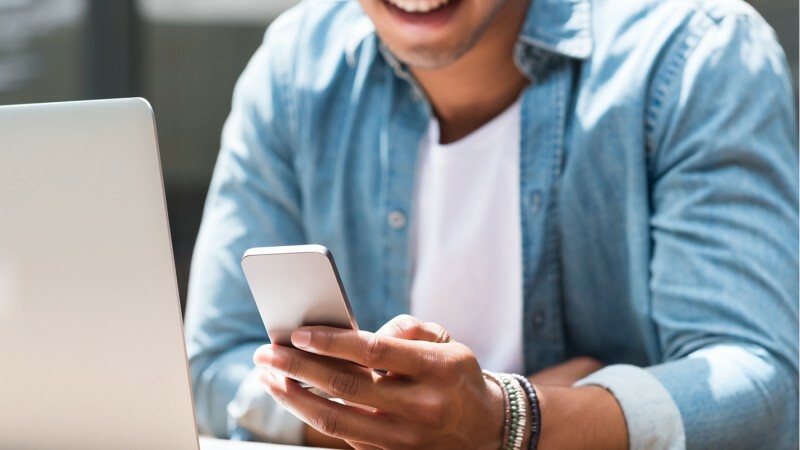 The following steps and resources in this guide can help you create an action plan to evaluate and optimize your loan repayment strategies. It can also help you look at potential options to reduce the debt. Before you can look at options to better manage your student loan repayment, you need to know how much you owe, what individual loans you have, and the current status of repayment. The best way to manage your student loan repayment requires keeping a handle on your total current student loan debt. Most borrowers have multiple loans. Do you have only federal loans, private loans, or a combination of both? Have you consolidated any of your loans into one loan? Whether you have several loans or just one or two, you need to have all the details at your fingertips. These details include such items as the current balances you owe, the terms of the loans, the interest rates, monthly payments, loan servicers, and the status of your loan payments (current, late, skipped etc.). If you do not have such a thorough, current overview, follow these steps. Since you have been repaying your loans for a time, you may already keep a current overview. In that case, compare how you are currently managing your loans against our recommendations. Use our interactive My Student Loans Factsheet and Repayment Status to record important information about each loan. You can fill in your information on the PDF and print it or save it to your computer. You can also print blank factsheets to help you compile and compare information on repayment options. Locate all your federal loans and info about them using the National Student Loan Data System. You will use your FSA ID (Federal Student Aid ID) to log into your existing account (or create an account). If you are currently repaying federal loans, you should already have a FSA ID. Transfer this information to your factsheet. If you do not have a FSA ID, create one on the federal loan site. For answers to questions about a FSA ID, click here. List information about each private loan. Since you are presently in the loan repayment period, you should already know your monthly payment amount. To identify other information about each loan, locate your original loan documents. Your servicer or lender should also have sent to you a schedule of payments that indicates the amount of the monthly payment and the number of payments required for payoff. For up-to-date information, you may need to contact the loan's servicer; contact information should be provided in the original paperwork. Record the monthly payments owed and actually paid on each loan on My Student Loans Factsheet. For your private loans, manually total the monthly payments owed and actually made on all loans as entered on your factsheet. Determine how far behind you are in repaying each loan (if applicable). If you have skipped payments on any loan or have stopped payments and are in default on any loan, you need to determine how much money you need to pay to bring your payments current. Federal loans offer several options to help borrowers modify their repayment terms to lower monthly payments, but the loans must be current (not overdue or in default) to take advantage of these options. It is possible that you are current on some loans but overdue or in default on others. What percentage of your income is currently going to repay student loans? Is that figure higher than 10% of your monthly income? If your loan payments are less than your affordable figure, you are in good shape for paying off your loans as quickly and for as little money as possible. If you are still struggling to make loan payments, it's time to examine your spending patterns (where your money goes) and make a budget that identifies ways to cut expenses and put more toward replaying your loans. Do you feel that making your monthly loan repayments is dragging you down (even if the total represents 10% or less of your monthly income)? Review both opportunities to cut costs in your monthly budget and flexible repayment options for federal loans and strategies for private loans in the following sections. If you have lost a job and are unemployed or have a temporary medical or health disability, you may qualify for temporary forbearance where you do not have to make payments for a short-term. Be sure to check out the section on "forbearance" later in this guide. This short video from FoolProof offers tips to keep in mind as you consider your repayment options. 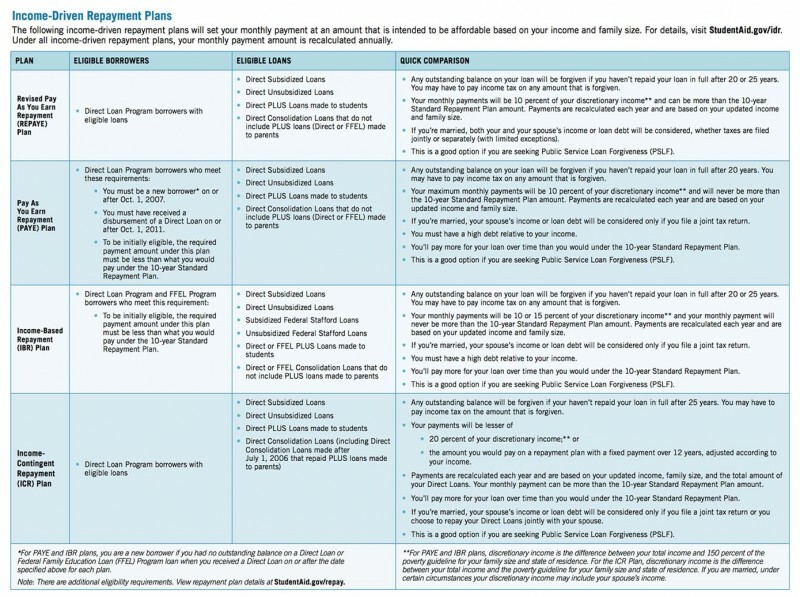 Using your completed My Student Loan Factsheet and Repayment Status and the charts below for "Traditional Repayment Plans" and "Income Driven Repayment Plans", review which repayment options you are currently using for your federal loans. The repayment options in these charts apply to Direct Loans (subsidized and unsubsidized), Stafford Loans (subsidized and unsubsidized), Direct PLUS loans made to students, and the older Federal Family Education Loan (FFEL). A federal Perkins Loans is not included in these repayment options because it is not a direct loan. Contact the school that made the loan for repayment options. If you have a Plus loan for Parents, see our page for Parents: Managing Loans as Part of Financing Your Child's College Education. Tip: Since you are currently struggling to make your loan payments, look particularly at plans that are based on your income and that allow extended terms beyond the standard 10-year term. In extended plans with repayment periods longer than 10 years and up to 25 years, you will have lower monthly payments but you will pay more in interest for the total loan. Standard Repayment Plan – Fixed payments over a 10-year term. You will have this plan by default if you have not picked another option. Graduated Repayment Plan – Payments start low and increase every two years over a 10-year term. This plan can be helpful if you are just starting your career and expect to make increasingly more money as you get established. Extended Repayment Plan – For Direct Loan borrowers who have more than $30,000 to pay. Payments may be fixed or graduated (start low and increase) over a term up to 25 years. Flexible Income-Driven Plans enable you to select a plan that adjusts your monthly payment amount in regard to your income and ability to pay. These plans also feature terms that extend beyond the standard 10-year term. If you have not repaid your loan in full at the end of the extended term the outstanding balance will be forgiven; however, this forgiven balance is usually taxable as income. In addition, you will pay more overall interest on these extended terms. Pay as You Earn Repayment Plans, PAYE (since 2012) & REPAYE (since 12/17/2015) – Payments based on 10% of your discretionary income but never more than the Standard Payment. Up to 20 years to pay. Income-Based Repayment Plans, IBR – Payments based on 10% of your discretionary income (new loans since 7/1/2014) or 15% of your discretionary income (loans before 7/1/2014) but never more than the Standard Payment. Up to 20 years (post 7/1/14 loans) or 25 years (pre 7/1/14 loans) to pay. Income-Contingent Repayment Plans, ICR – Payments based on a percentage of your discretionary income. Up to 25 years to pay. To qualify for a direct federal consolidation loan, repayment of all the loans must be current or not in default (payment is more than 270 days late). If a loan is in default, your payments must be brought current before you can qualify for a federal consolidation loan. If some of your loans are current and others are not, you may wish to consolidate the current loans and pick a plan that lowers and extends those payments so that you can have more income to bring current your loans that are in arrears. Then you can consider options to make these payments more manageable also, including a new consolidation loan. Tip: There is no application fee or any cost for a federal consolidation loan. The interest rate is also fixed for the term of the loan; this fixed rate is the average of the weighted interest rates of the loans being consolidated rounded up to the next highest 1/8 of 1 percent.So if anyone wants to charge you for helping you get a federal consolidation loan, say no and head to www.studentloans.gov. When Can Loans Qualify for Deferment or Forbearance? Deferment refers to a temporary period when you don't have to make payments on a direct federal student loan. Both principal and interest may be deferred or the principal may be deferred but interest continues to accrue. The most well-known deferment is for students enrolled in graduate or professional school. If you are enrolled in graduate or professional school (and are at least a half-time student) payment on your direct federal student loans and Perkins loans may be deferred. If you have subsidized loans, the government pays the interest during deferment. If you have unsubsidized loans, interest continues to accrue during deferment and may be capitalized into the loan principal when deferment ends and repayment begins. You may also qualify for a temporary deferment of payments of federal student loans if you are serving on active duty in the military, are experiencing a period of unemployment, experiencing economic hardship, or are working in certain occupations (see the next section). You apply for deferments through your loan servicer. Forbearance refers to temporary relief (usually up to 12 months) from having to make your loan payments or for making a reduced payment when you don't qualify for deferment. Interest is charged on all loans (subsidized and unsubsidized) during forbearance. You apply to your loan servicer for forbearance. Forbearance requested for reasons of financial hardship or illness is discretionary—your loan servicer gets to decide whether or not to grant forbearance. Forbearance can be mandatory for some situations, which are spelled out in the Q&A cited next. Some private loans may offer opportunities for deferment or forbearance; however, terms can vary between lenders. You must request information on options directly from each lender. Are There Circumstances that May Qualify for Student Loan Forgiveness, Cancellation or Discharge? If you have a direct federal loan and you have been a full-time teacher for at least five years in qualifying fields and in qualifying low-income schools, you may apply to have a certain amount of some federal student loans forgiven or cancelled. The same is true if you serve in certain public service jobs. You must apply for these programs. This Q&A from StudentAid.gov provides more detail and resources for these programs. Certain other circumstances may also qualify you for loan forgiveness or cancelation. These include certain school closures (such as with some recent for-profit schools), full and permanent disability, and death. This Q&A covers those circumstances. Private lenders may or may not provide any option for forgiveness or cancelation. Request information directly from the lender. In general, private loans do not provide the options that federal loans offer. For example, many private loans require that the student borrower have a parent co-sign; in one recent instance, the lender required the parent co-signer to repay the loan even though the student borrower had died in an accident shortly after graduation. 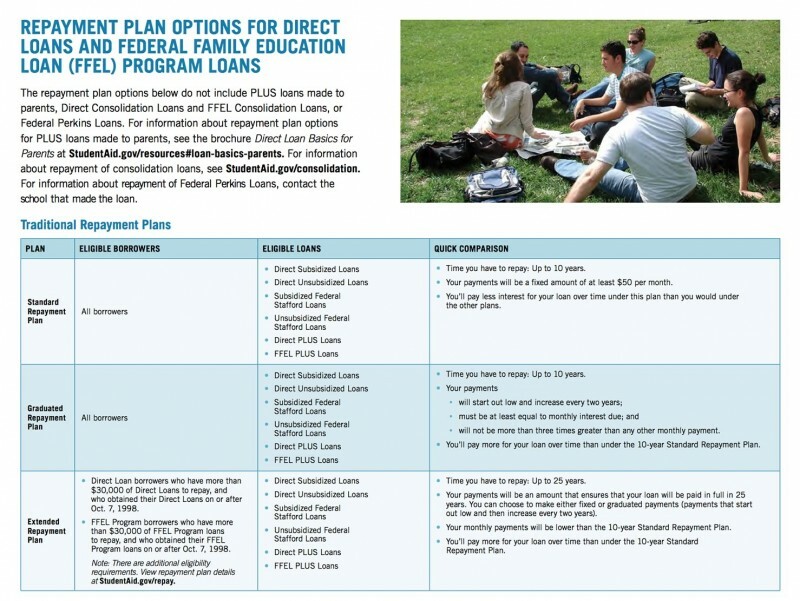 The National Consumer Law Center's Student Loan Assistance Program also has some useful resources on cancellation of federal and private student loans. Recently, a number of for-profit colleges have closed their doors, often as a result of investigations and sanctions by the federal government. These schools include many locations operated by ITT Education Services (ITT Technical Institution), Education Management Corporation (Brown Mackie College), Sanford-Brown, The Art Institutes, Le Cordon Blue, Westwood College, and Corinthian Colleges (Everest, Heald, WyoTech). If you were enrolled in a campus that was closed by one of these or similar institutions, you may be to get loan cancelation (forgiveness) for federal loans. If you were former student, in some cases, you may also qualify for federal loan cancelation (forgiveness). For more information about this process, see this Q&A from StudentAid.gov. Note that typically, even if you qualify, you must apply for loan cancelation; it is not automatic. You may also call 1-800-4FEDAID for information about your particular situation. Can You Discharge Your Student Loans Through Bankruptcy? It is possible, though very difficult, to discharge student loans through bankruptcy. To do so, however, you will have to prove in court that repaying the student loans will cause an "undue hardship" on you and your dependents. Typically, you will need experienced legal counsel and considerable documentation to prove this. Although many courts now use the Brunner tests for "undue hardship," not all do. If you owe a very large debt and have little means or likelihood of repaying it, considering bankruptcy might be an option. For more information, read this overview from the NCLC's Student Loan Borrower Assistance program. What About Just Letting Student Loans Go into Default? When faced with a mountain of debt you can't seem to pay, you may be tempted to ignore it and just let the loans go into default? Don't even think about it. A student loan ignored (federal or private) can ruin your credit and mess up your life long-term. Not only is it almost impossible to discharge student loan debt through bankruptcy but the debt will be turned over to collection agencies. There is no limit for collection of federal student loan debt. The law even allows debt payments to be collected out of tax refunds, wage garnishment, and even Social Security benefits. Private lenders tend to use collection agencies and lawsuits, which means more high fees on top of the debt and interest on the debt. So if you even fear that you may be facing default, let your lenders know you are struggling and see options to avoid default. For more information, check out Understanding Default from the Federal Student Aid website and Consequences of Default from NCLC's Student Loan Borrower Assistance program. You have already compiled facts about your private student loans on your factsheet. So you can see if, like most private loans, your private loans have higher interest rates than the federal loans. Do they have variable or fixed interest rates? Many private loans have variable rates. Depending on the terms of your private student loans, you may wish to consider some of the following options. Consolidating your private loans into one loan. If you have a good income and a high credit score, you may be able to refinance your private student loans into one loan at a lower interest rate. Because interest rates are currently near an all-time low, they are likely to rise in the future. If you can obtain a fixed lower interest rate that might be a good option. Make sure any consolidation loan does not have a prepayment penalty. This short article from the Consumer Financial Protection Bureau offers more pointers on consolidating private student loans. However, if you are struggling to pay back your student loan debt and have missed payments or been consistently late, you may find it difficult to qualify for a consolidation loan or terms that will not cost you significantly more over the term of the consolidation loan. If you do not qualify for a consolidation loan with good terms, you might consider asking a parent or relative to co-sign for the loan. However, make sure that your co-signer and you know all the risks that the co-signer is taking on to help you and is willing to do that. Consider paying off high interest private loans first. If you can make an effort to free up extra money in your budget or earn more with a second job, making regular payments toward the principal of a high rate loan can reduce its cost and shorten the time to pay-off. Before you attempt this, be sure the loan does not have prepayment penalties. After you have looked at all your repayment and loan consolidation options, compare how various combinations of those options would help you best manage loan repayments. Use your affordable percentage of income figure in conjunction with your understanding of your current and future resources to help evaluate different options. Do you need a plan that enables you to pay less per month (but pay more interest in the long-run) or can you make some larger payments to pay off some loans sooner? If you are paying late or missing payments, discuss options for modifying your loans you're your loan servicers. When you have arrived at a plan, make the appropriate applications and keep a record using a blank copy of My Student Loans Factsheet and Repayment Status. When your new plan is operational, create a current Loan Factsheet as a summary of all the facts you need to keep track of your plan. If you are struggling a bit with managing repayment, see the excellent information at the Student Loan Borrower Assistance website, created by the National Consumer Law Center.